There are two kinds of guitarist out there: those who like to collect amplifiers and bask in each amps unique characteristics, and those who just want to find that one perfect amplifier they can love forever and ever. 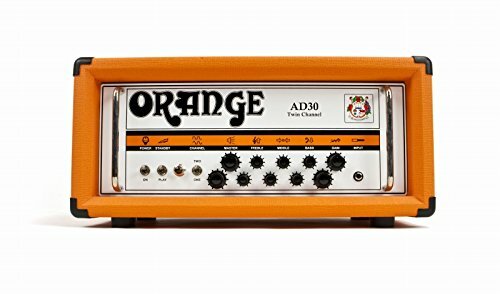 No matter which type you are, you'll absolutely love the Orange AD30 twin-channel amplifier head. Described in an interview published in FOH magazine as an amplifier that "defies the laws of physics," the AD30 amp head packs two totally amazing vintage tones into one of the loudest 30-watt amps ever made.